The hallmark of this workshop is taking a complex subject and delivering it to students in a way that they can both understand and apply the information to the practice of asana. This workshop will definitely take your anatomy knowledge to the next level. Yoga is very much about the relationship you have with the teacher. This is the reason that the class size for this workshop is always limited to a maximum of 12 students practicing at a time. This along with the commitment to practice five days in a row leads to the possibility of many insights during the week. Go on a journey through the anatomy of your breath. 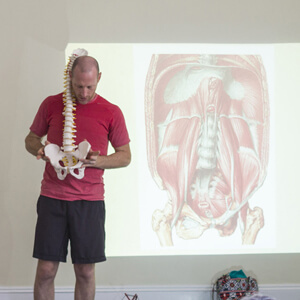 From the diaphragm to the abdomen, and pelvic floor. It’s not as simple or limited as inhale and exhale, oh no. The breath can be used as a link between mind and body through the nervous system. 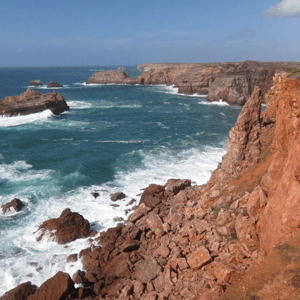 Body relaxed, mind at ease – join us for this inspiring 6 day journey with David Keil & Gretchen Suarez in Portugal’s beautiful southwest Alentejo! While allowing plenty of time to enjoy a delightful holiday on Europe’s most stunning sandy surf-beaches this retreat smoothly integrates Ashtanga Vinyasa Yoga with Buddhist meditation, exploring the spiritual as well as the psychological perspective on the yogic practices. This is an intensive course that is geared toward students who want to deepen their practice and understand the philosophy of Ashtanga Vinyasa Yoga. If you are already a teacher this course will create a context for what it is we are teaching and how to frame it for students. 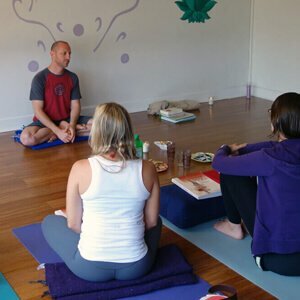 Join David Keil and Peg Mulqueen for a 5-day Ashtanga Yoga Retreat in Bozeman, Montana.Enjoy 5 mornings of Mysore practice followed by sessions focusing on the psychology of movement, understanding our anatomy, and the therapeutic and healing aspect of our Ashtanga yoga practice with both David and Peg.